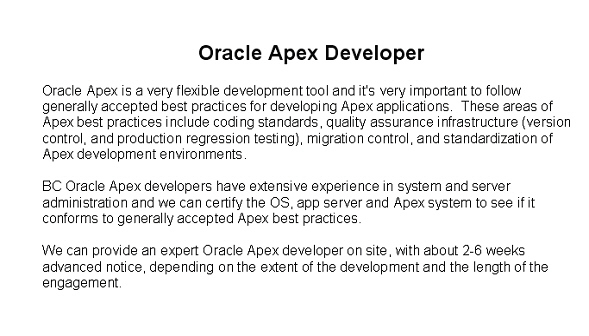 BC is the USA's top independent provider of Oracle Apex developers, all Oracle certified professional developers with years of hands-on development experience. Don't trust your critical Apex development project to beginners of neophytes. BC has Apex developers ready to assist with any Apex project, large or small. See BC for all of your Apex developer needs.